ViaLite will be featuring their state-of-the-art RF over fiber (RFoF) products at three different trade events this fall. 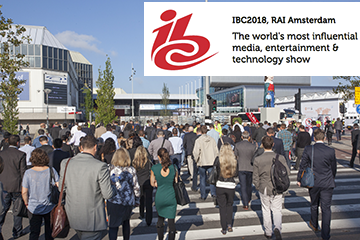 The first event is IBC 2018, the world’s leading media, entertainment and technology show, which takes place from September 14-18, 2018, at the RAI in Amsterdam, the Netherlands. Among the products on display on Stand 1.A23 will be ViaLite’s new ODE-A4 outdoor enclosure range that can house as many as four RF channels and also offers lower power consumption using ViaLiteHD Blue OEM links. 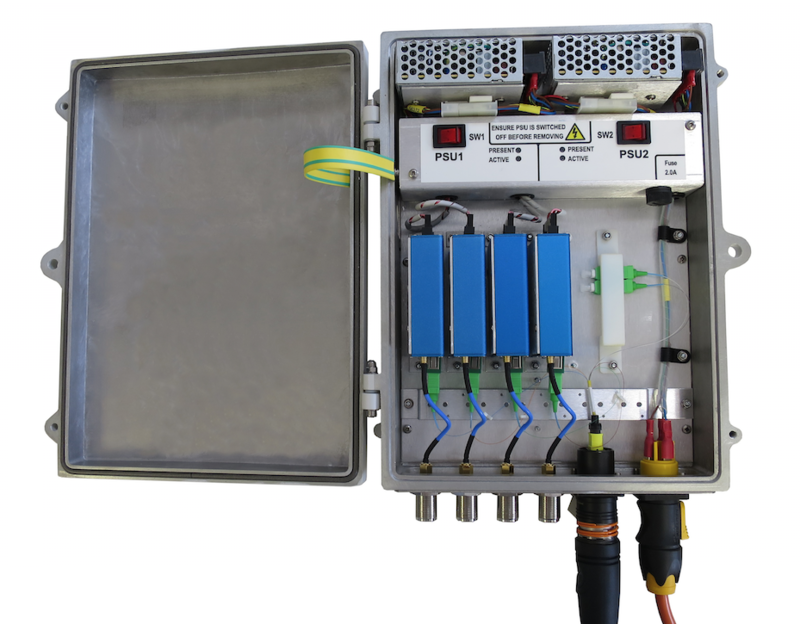 They replace the company’s classic ODE-A RF over fiber (RFoF) enclosures and can be used for permanent fixed installations or for the rapid field deployment of mobile systems. The enclosures are small, lightweight and easy to install, and are IP65 and NEMA 4 rated for harsh environments, with external weatherproof fiber and power connections. There is space for additional accessories and internal RFoF links, and the RF to optical connection is located closer to the antenna than in the old system, for less loss of signal strength. The GPS version is used to bring GPS/GNSS signals into buildings for IT timing purposes and allows up to four antennas to be attached for redundancy. The VSAT model is a cost-effective solution for connecting VSAT terminals remotely, and is ideal for use with ViaLite’s 1U rack chassis as a turnkey VSAT RF over fiber system. The ODE-A4 Quad LNB is designed for connecting single-channel and quad LNBs for RFoF interfacility links. The ODE-A4 Configurable can be configured for any type of ViaLiteHD Blue OEM link. The ODE-A4 will be on display at IBC 2018 (stand 1.A23) at the RAI in Amsterdam this September. Visitors to the show can register free of charge, courtesy of ViaLite, using code 9697. Also in September is ION GNSS+, the world’s largest technical meeting and showcase of global navigation satellite system technology, products and services. The show takes place from September 24-28, 2018, in Miami, Florida, and ViaLite will be on Booth 614. Of particular interest will be ViaLite’s single links and point-to-multi-point links, as well as the ODE-A4 GPS outdoor enclosure. Distribution products on show include optical splitters and a new local RF distribution unit. Applications for these RFoF products include maritime navigation and related positioning, navigation and timing fields, as well as the extension of links to GPS repeaters, for example enabling signals to be taken into tunnels. 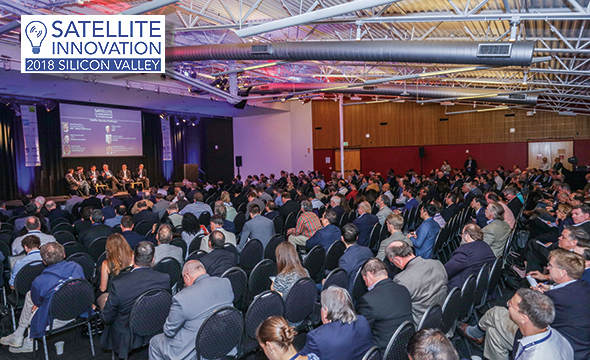 The following month sees ViaLite participating, for the second time, at the annual Satellite Innovation Symposium at Booth 27, which is being held in Silicon Valley from October 9-11 (with workshops on October 8). Visitors can receive a 30 percent discount off conference tickets by using code: vialite_client.